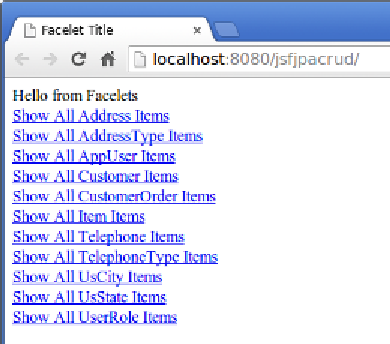 since we selected the PrimeFaces template, our pages use PrimeFaces components. properties for a JPA entity. and a browser window opens to display the welcome page for our application.